HISTORY and the NYTVF are pleased to announce the five finalists chosen from the field of 15 semi-finalists in the annual HISTORY Unscripted Development Pipeline. One winner, selected by HISTORY, will be awarded the opportunity to produce a pilot presentation in partnership with NYTVF Productions. The NYTVF is proud to announce the fifteen semi-finalist projects in the 3rd annual History Unscripted Development Pipeline. All of the selected producers will have their projects reviewed by the network. Five finalists will be named by History and have the opportunity to create additional tape under the guidance of the channel and the NYTVF. One winner will win the opportunity to participate in the creation of a network pilot based on their concept. Congratulations to the semi-finalists and sincerest thanks to all who entered! History and the NYTVF are teaming up again for an innovative program seeking original unscripted television tape and treatments from independent artists and production companies. Submissions should focus on charismatic male characters living in surprising worlds or with fresh points of view. See below for more from History. A screening committee of NYTVF officials will narrow the pool of entrants down to 15 semi-finalists. These semi-finalists will be presented to HISTORY development executives, who will select five finalists, each of whom will receive notes on their projects, a $2,500 prize, and an additional $1,500 to shoot a short presentation further exploring their subject, under the guidance of a HISTORY approved production partner. One winner, selected by HISTORY, will be awarded the opportunity to produce a pilot presentation with a minimum $25,000 budget in conjunction with NYTVF Productions. All 15 finalists will receive designation as 2015 NYTVF Official Artists and an exclusive invitation to participate in the 11th annual New York Television Festival, held in NYC in 2015. 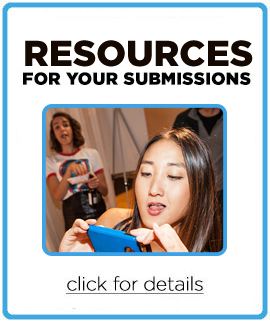 Check out our FAQ or Ask NYTVF, and make sure you check out the resources page for FREE music. Use the links below to explore the various aspects of submitting to the History Unscripted Development Pipeline. HISTORY is the leading destination for award-winning original series and specials that connect viewers with history in an informative, immersive, and entertaining manner. As a leader, we must be BIG, NEW and DIFFERENT with our hit programming. The purpose of this NYTVF initiative is to introduce HISTORY to the next generation of emerging producers and storytellers who have found dynamic aspirational male characters in exciting exceptional worlds. These characters should be bold, unique and credible experts who are surrounded by a rich world and can show their expertise through interesting process. Make sure the audience can come away with great takeaway information that provides a new surprising look at History. We've done it before with shows like Pawn Stars, American Pickers, Ice Road Truckers, and Swamp People. What's next? 15 Semi-finalists will recieve designation as 2015 NYTVF Official Artists and an exclusive invitation to participate in the 11th annual New York Television Festival, held in NYC in 2015. 5 Finalists will receive notes from the network, a $2,500 prize, and an additional $1,500 to shoot short presentations that further explore their subject. 1 winning creator, selected by History, will have the opportunity to participate in the possible production of a pilot. NOTE: Treatment PDF, Pilot image JPG and Compressed pilot MP4 may all be included on the SAME data DVD. Click here for information about the NYTVF Artist Experience.